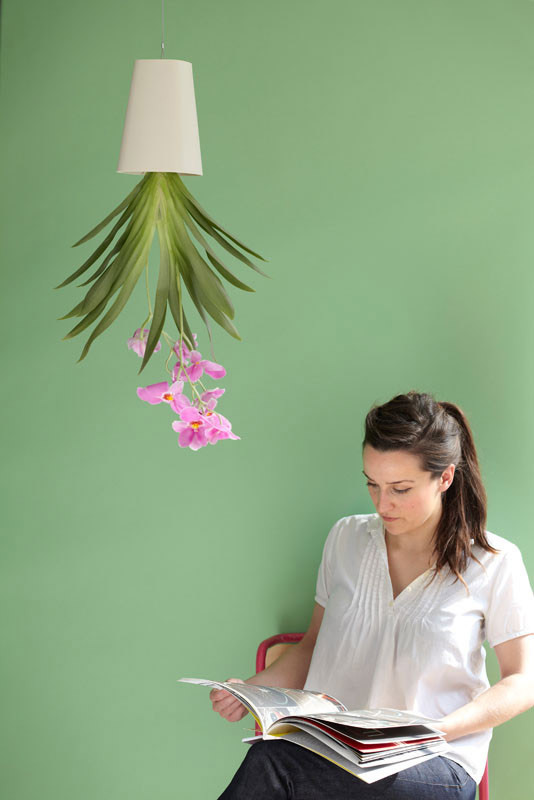 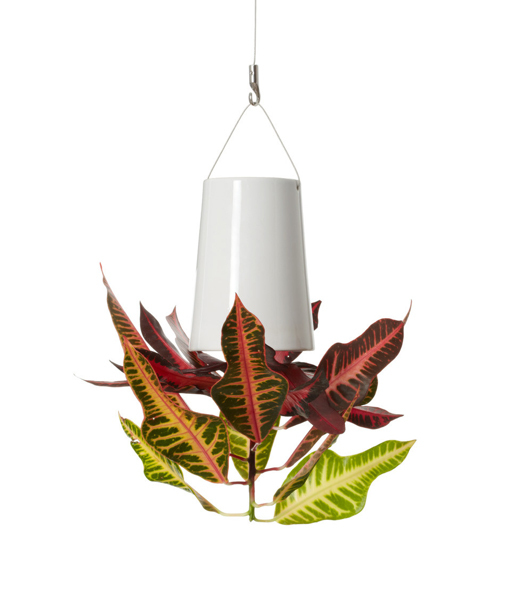 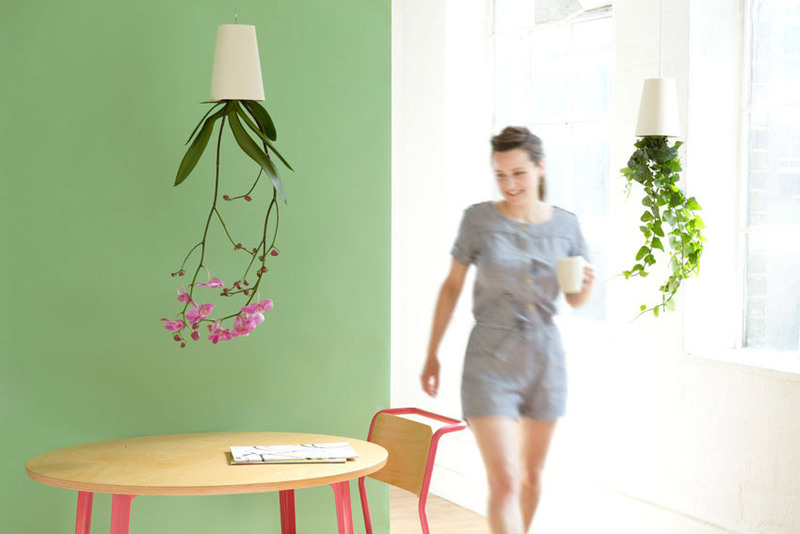 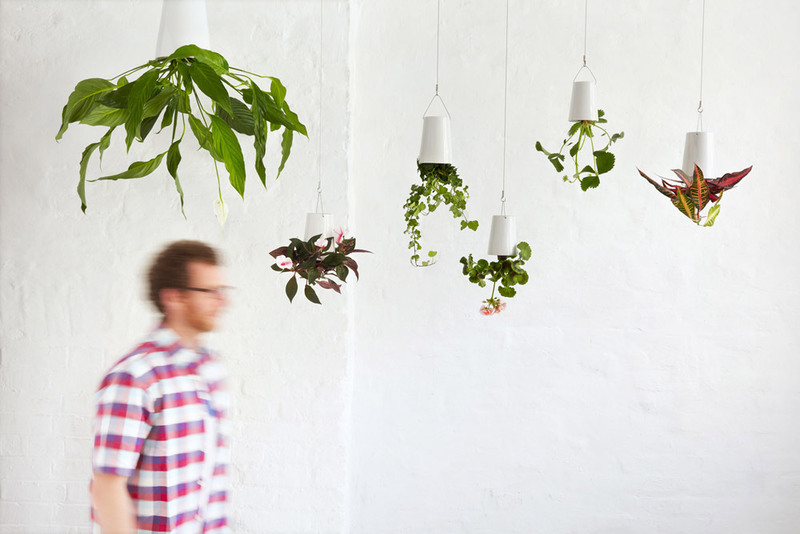 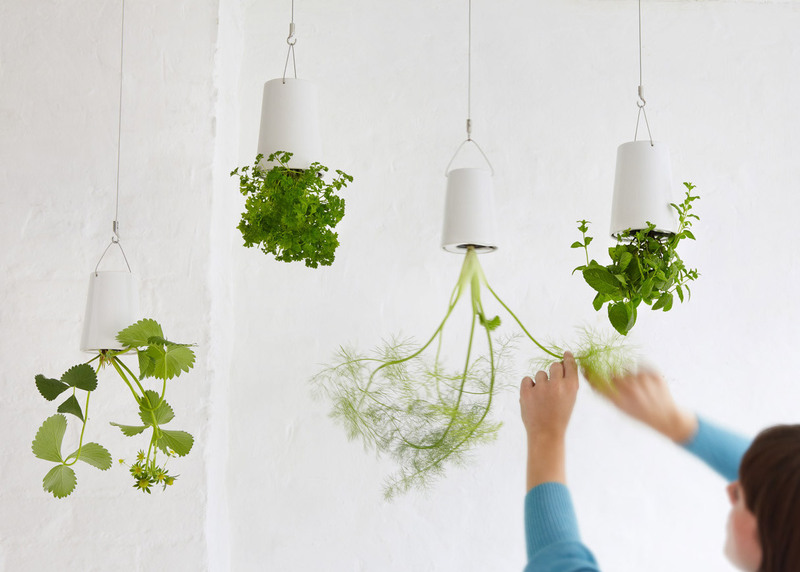 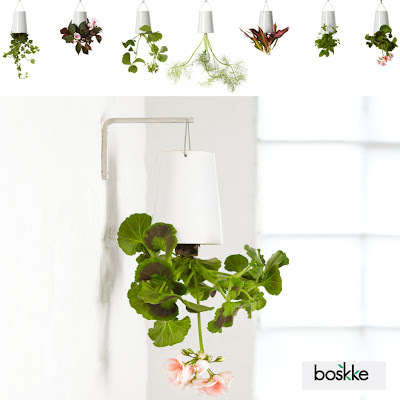 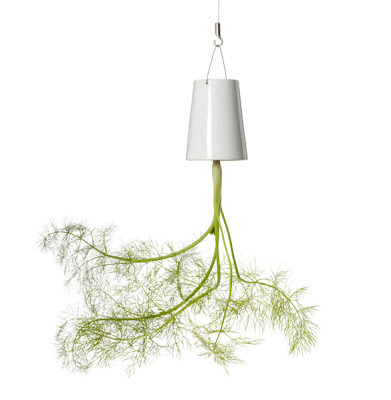 Boskke has evolved indoor gardening with the advent of their Sky Planter. 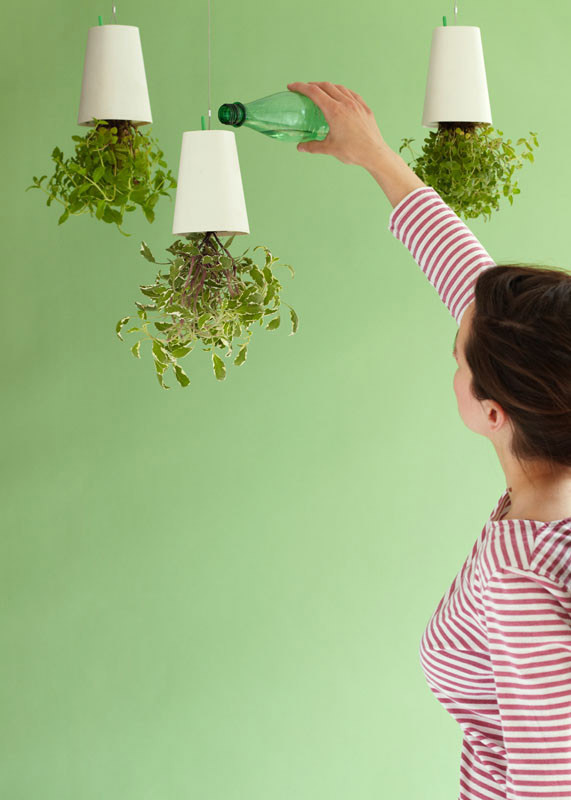 Their unique upside down stoneware and plastic planters allow you to sprinkle greenery in any room without sacrificing floor or table space. 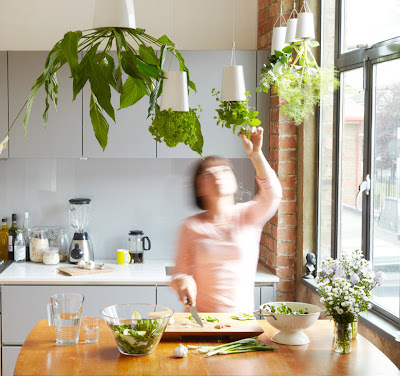 above: with Sky Planters, herbs are within cooking reach. 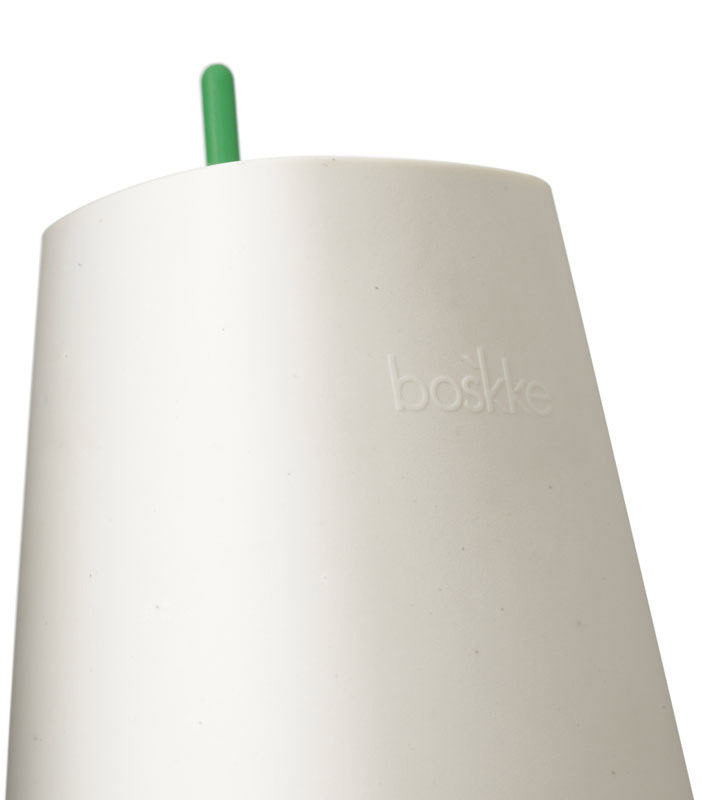 The Boskke planter, initially created in ceramic stoneware and available in three sizes, was designed by Patrick Morris and received a coveted 2011 RedDot Design award. 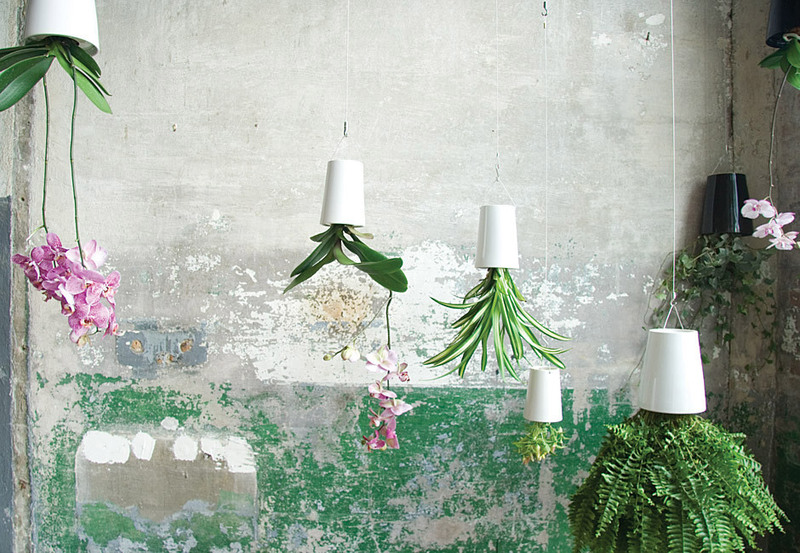 above: the ceramic stoneware series of Sky planters comes in three sizes. 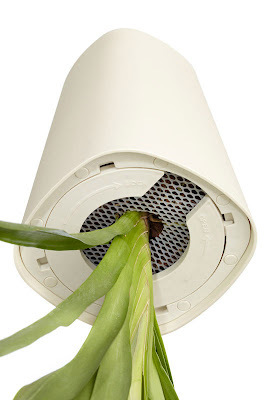 Now, in addition to the original ceramic designs, they have launched a line of large and small recycled planters made from 100% recycled polypropylene plastic and packaged in recycled cardboard. 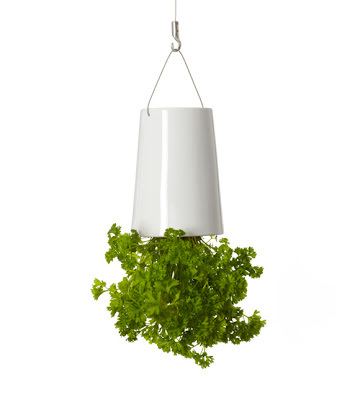 A wide variety of common house plants, herbs and vegetables grow nicely in the unorthodox planters and a locking disc and mesh holds the upside down plant and soil in place. 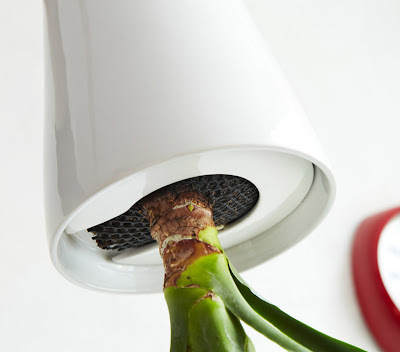 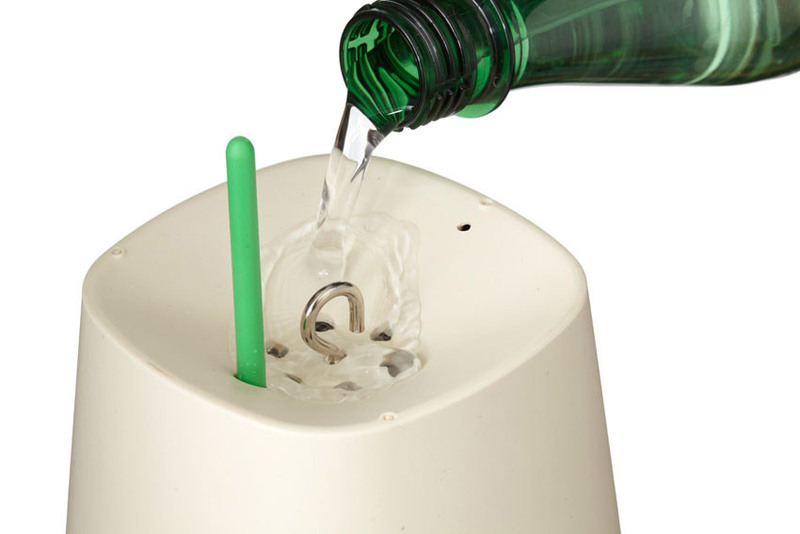 Its internal reservoir system feeds water gradually to the plant roots. This conserves water and saves time. The Sky Planter is easy to assemble, as shown in the short video below. Ready-grown plants are simply removed from their container and inserted into your new Sky Planter. 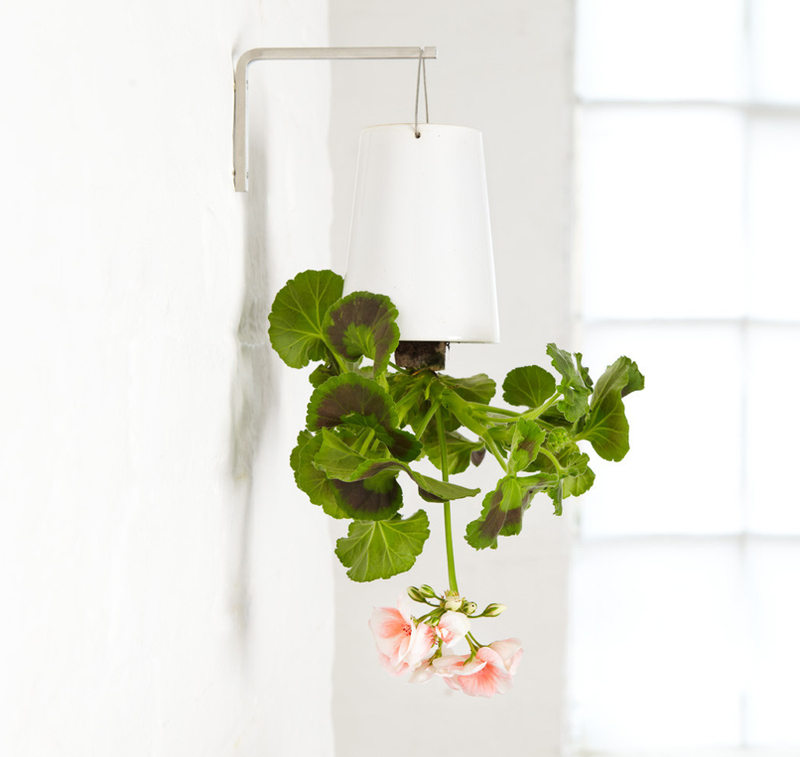 Once locked in place, turn the pot upside down and suspend from a securely fastened ceiling hook. 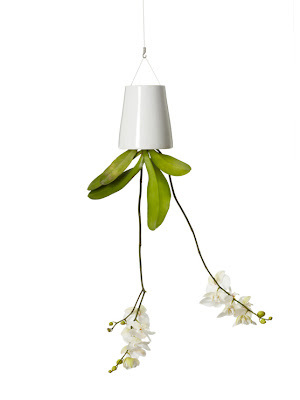 Extension wires and wall mounts are also available for high ceilings or wall-hung planters. 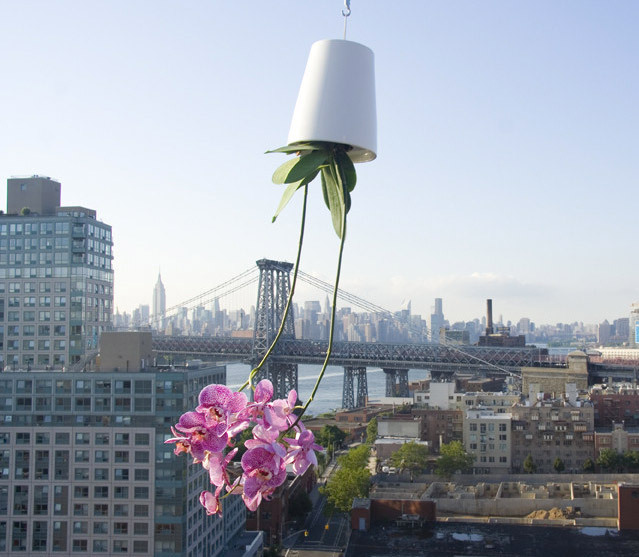 Buy the Boskke Sky Planters (original and recycled) here.